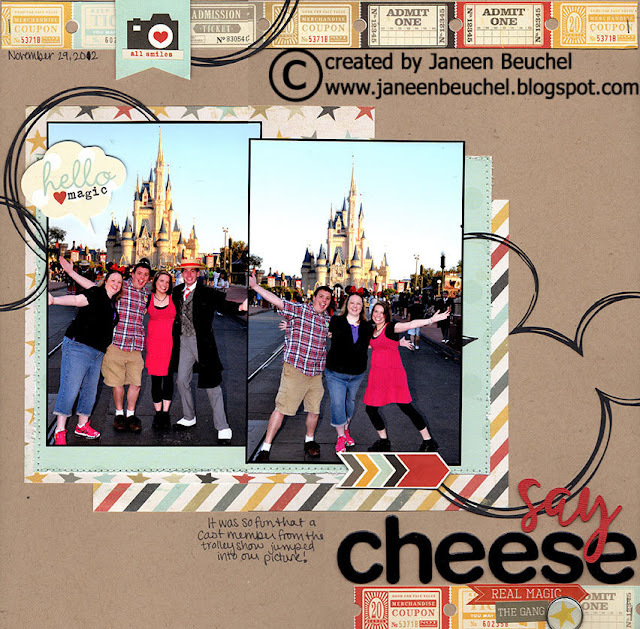 I did this one specifically for my friends at www.DisneyScrappers.Ning.com and I haven't had time to do an example page but Janeen Beuchel was kind enough to share this example. Thanks Janeen! This is so sharp! Love the Mickey "doodles"! Adorable layout and fabulous sketch...thanks for sharing!!! Thank you again for another awesome sketch! Your page with the Mickey elements is terrific!